Hydrological responses to land use/land cover (LULC) changes are complex in nature and tend to have an impact on the hydrological cycle, affecting the livelihood of the inhabitants. Rainfall–runoff models, such as the Soil and Water Assessment Tool, were used in the past to unravel the interactions between the impacts of climate and land use changes. 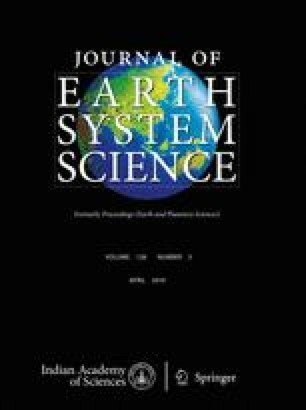 However, the sensitivity of the model outcome, regarding the hydrological and erosive response to climatic data derived with different methods, has not been fully understood. We carried out a hydrological simulation using (a) Climate Forecast System Reanalysis data set, which synthesises outputs of global climate models along with gauged weather information and has a global coverage, and (b) purely weather station-based gridded climate data provided by Indian Meteorological Department. A possible LULC scenario for the year 2020 was created using the combined Cellular Automata–Markov model. Application of both climate data sets resulted in a modest increase in the predicted streamflow and sediment yield as a response to the probable development scenario in 2020. However, the marked variations emerged in the location and monthly pattern of significant changes in the surface runoff and sediment yield in response to the likely LULC scenario for 2020 vis-à-vis 2010. The authors gratefully acknowledge the constructive criticisms of the anonymous reviewers which helped to improve the quality of the paper. Saaty T L 2003 Decision making in complex environments – The analytic hierarchy process (AHP) and the analytic network process (ANP) for decision making with dependence and feedback (superdecisions tutorial); www.superde-cisions.com.